This patient from Holland is very active on the Dutch hair forum Haarweb. 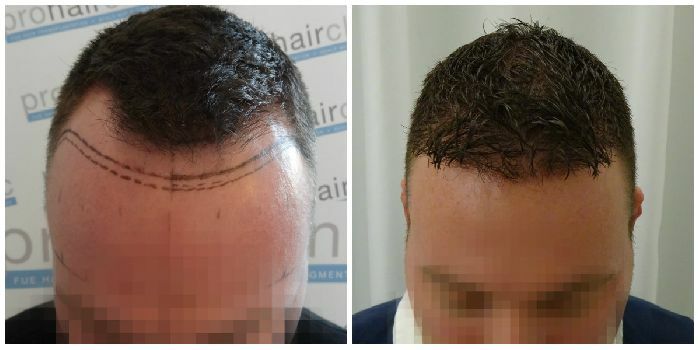 He was treated by Team Prohairclinic 8 months ago, using 2500 grafts. The treated area was just over 50 cm2, so a density of 50 grafts per cm2 was achieved. As our clinics opts for quality we find manual procedures to be giving us superior quality results.